Dr. Mahmood Pazirandeh received his MD in 1958 from the Tehran University in Iran, then moved to England on scholarship to complete his postgraduate in Medicine, where he graduated in 1964. After completing his postgraduate degree, Dr. Pazirandeh moved back to Iran and was an Assistant Professor in the Department of Medicine at the University of Tehran. In 1967, Dr. Pazirandeh moved to the United State to complete an internship at Westmoreland Hospital in Greenburg, Pennsylvania. From there he went onto to complete a fellowship and then became a Clinical Associate in Rheumatology at the Cleveland Clinic Foundation in Cleveland Ohio. 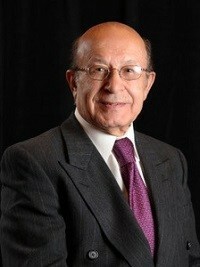 Dr. Pazirandeh moved onto Case Western Reserve University where he held many position over his 30+ year tenure. Dr. Pazirandeh successful career as a Rheumatologist and educator he has received many awards and accolades. A few of these include the, American Medical Association, Physician Recognition Award, Arthritis Foundation, appreciation awards for his service on the medical and scientific committees and the Distinguished Teaching Awards from the CWRU Scholl of Medicine. After Dr. Pazirandeh retirement from Case Western Reserve University. He and his wife moved to sunny San Diego. It didn’t take long for Dr. Pazirandeh to miss his work helping those that live with Arthritis. He decided to go back to work as a Rheumatologist, got recertified and found to a new home to practice medicine in at the San Diego Arthritis Medical Clinic. Dr. Pazirandeh currently reside in San Diego with his wife Parvin. He enjoys gardening, studying the arts and antiques and spending time with his grandchildren. Matthew was diagnosed with juvenile arthritis when he was 13 following a bee sting to his hand that became infected and severely swollen. Surprisingly, it was the incongruous size of the knuckles on his other hand that set off an alarm with his emergency room doctors. Today at 16, Matthew follows a medication regime of weekly biologic injections in addition to his visits to a rheumatologist and blood work every three months. Fortunate that the biologic shots are working for him, Matthew is able to participate in most activities freely, though he does need to consider the implications to his health when engaging in any new physical activity. One sport that gives him great pleasure is racquetball, which he regularly plays with both ease and gratitude. Matthew is also an avid gamer and is interested in computer programming. Making the mistake of forgoing his treatment for a short period of time last year gave Matthew a glimpse of what others suffer with every day and he has an incredible amount of respect for their strength and perseverance. He realizes he is very fortunate to be able to keep his arthritis at bay with medication and medical follow up and knows how debilitating this disease can be. Matthew has been a part of the Walk To Cure Arthritis for three years, spearheading his own team. He is committed to walking/running every year at the Walk To Cure Arthritis in order to help raise money for research that one day will find a cure. 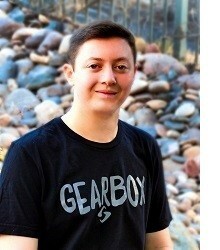 This year he is honored to be a Teen Ambassador and is happy to help put a face and a story behind Juvenile Arthritis. To support Matthew or join his team, please click here! At the age of 22 during her last semester of College, Melissa began feeling joint pain. After six months of Doctor’s appointments, specialists, and X-rays, Melissa was diagnosed with Rheumatoid Arthritis. The first year of her journey consisted of pain, inflammation, aggressive treatment, and minimal results. Fortunately with the support of her family, Melissa was able to rest at home and focus on her journey to regain her health. In 2013, a year after Melissa was diagnosed, she started receiving monthly infusions of Orencia. Her symptoms, pain, inflammation, and health started to improve within the first month. After a few months, Melissa found that she was able to start doing the things she loved again such as yoga, walking, hiking, and being active. 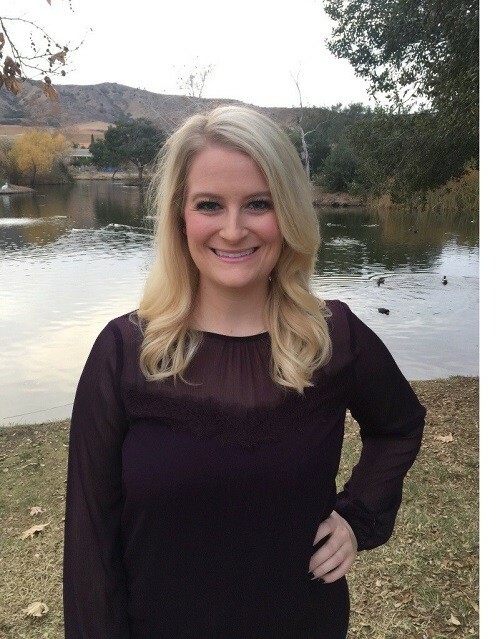 Melissa currently works as an Analyst for the County of San Diego and enjoys many hobbies including crafting, sewing, baking, reading, and yoga. She has participated in the Walk to Cure Arthritis the past two years. With the enormous love and support from family and friends, she received the Top Family Team award for the 2017 Walk where 50 of her loved ones walked beside her. After receiving infusions for four years, Melissa switched to a weekly injection that she gives herself. She has been responding well to treatment but unfortunately has yet to go into remission. Melissa is actively involved in the Arthritis Foundation as a volunteer for their events. She is determined to raise awareness of Arthritis and encourage donations for research to find a cure for this disease that millions of Americans suffer from daily. To support Melissa or join her team, please click here!